[ET32] Valley of Capsules – Valley of Capsules plays Vox Populi! “All life is an experiment. The more experiments you make the better.” wrote one of the great American transcendentalist authors, Ralph Waldo Emerson. 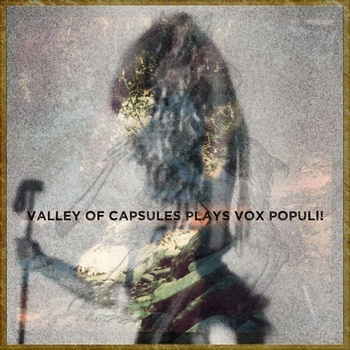 Etched Traumas is honored to release the ‘Valley of Capsules plays Vox Populi!’ by Valley Of Capsules, which is based on the works of the French band Vox Populi!. This entry was posted in News and tagged ambient, bricolage, cinematic, collage, deconstruction, elevation, folklore, France, freeform, Netherlands, psychedelic, remorphing, Valley Of Capsules, Vox Populi! by bsom. Bookmark the permalink.